Limited Edition to 3600 pieces Worldwide by Johnny Lightning. Detailed interior, exterior. The distinguished man on his way to the office could lay down a 1/4 mile in just over 15 seconds. Competitive Pricing and Unrivaled Selection We are the number one direct distributor of diecast model cars in the USA, so we are able to provide very competitive pricing. Reason to buy from us. Very nice. Photo is of actual item. Has been in a display case since new. Features - Opening hood, Steerable front wheels, & detailed interior and chassis. Scale - 1:18 Approximate Size - 10" long and 3 1/2" across. Condition - Clean and complete boxed model. Model: Buick 1987 GNX Transporter. Color: Black with white and red ASC and GNX graphics. Manufacturer: GMP (Peachstate Collectibles). Production run: 1 of only 547 ever produced! They work very hard to get quality products to you quickly. After a tragic car fire, many Buicks followed, but her heart was set on finding another GS. About six years ago, she found “Sweet Pea”, a numbers matching car, for sale by the original owner. Accuracy is critical for a proper restoration. Material - Diecast. 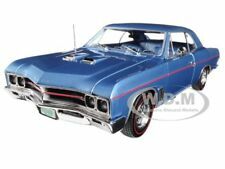 Category - Collectible Diecast Model Car. Scale: All scales are approximate. Advertised specifications provided by diecast manufacturers. ONE'S NEVER ENOUGH! MiJo M&J Toys Exclusive: 1987 BUICK GRAND NATIONAL GNX. 1 of only 3600 Worldwide! This model will make a perfect addition to your collection! Here is your chance to pick it up. Perfect for that car fanatic in your family. All are from my personal collection of over 45 years. Very nice. Photo is of actual item. Signiture Models 1:18 scale 1938 Buick Century Convertible Coupe, White NEW! 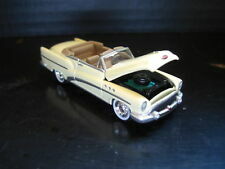 You are purchasing a NEW in Box Signiture Models 1:18 SCALE 1938 Buick Century Convertable Coupe die cast model (white). Item ships USPS within 1 business day. U.S. Seller. Thank you for your business. Model: JLCP7083. Color: Sherwood Green Poly. Manufacturer: Johnny Lightning. We will accept shoes and clothing accessories and Handbag back if unhappy for any reason under the following conditions. We are not responsible for your assumption. Proceed to checkout. Category - Collectible Diecast Model Car. CAR ADDICTED JUST LIKE US?. BRAND NEW IN THE BOX NEVER OPENED EXCELLENT CONDITION Jada Toys Dub city OG-3 Diecast collectible’s 1:64 SCALE (3 IN ONE SEALED BOX) 1987 BUICK GRAND NATIONAL This set is still factory sealed in the box is in excellent condition with minimal shelfware. Please view pictures closely for specific details of conditions or message me with any questions you may have. Thank you for your consideration. Car disassemble, customized, resealed on custom card. Designed by Harley Earl, the car. Competitive Pricing and Unrivaled Selection We are the number one direct distributor of diecast model cars in the USA, so we are able to provide very competitive pricing. 1970 Buick Grand Sport Hardtop in Seamist Green -MCACN • Opening Doors & Hood. This one is a great little replica of a1974 BUICK ESTATE WAGON. IT HAS GREAT DETAIL, AND OPENING HOOD TO REVEAL THE DETAILED ENGINE, AND IT RIDES ON RUBBER TIRES. THIS IS AN IMPORTANT PIECE FOR THE '74 BUICK ESTATE WAGON OWNER/COLLECTOR. 1970 Buick GSX. 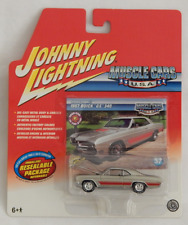 Johnny Lightning Muscle Cars U.S.A. Series 1. Playing Mantis 1996, 202-01. Hot Wheels 50s Buick Woody ELwoody Great 8s (3/4) Green 1950 . Package has wear. See photos Shipped with USPS First Class Package. MiJO M&J Toys Exclusive: 1987 BUICK REGAL T-TYPE. 1 of only 2016 Worldwide! This model will make a perfect addition to your collection! Here is your chance to pick it up. Perfect for that car fanatic in your family. MIJO EXCLUSIVES. 1987 BUICK GRAND NATIONAL GNX. JOHNNY LIGHTNING. 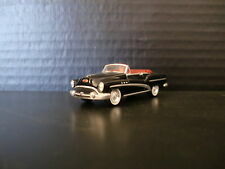 1955 BUICK CENTURY DIECAST CAR 32197. MAISTO 1:24 W/B HARLEY-DAVIDSON CUSTOM. Model:1955 BUICK CENTURY. 2018 HOT WHEELS THROWBACK 2 Mustang Corvette F-150 Dodge Buick "Take Your Pick"
This is a Auto World 1975 Buick Estate Wagon. JOHNNY LIGHTNING. 1986 BUICK REGAL T-TYPE. HOBBY EXCLUSIVE. LIMITED EDITION 1 OF 2,760. This is a 2017 Hot Wheels BUICK GRAND NATIONAL (#6)(Racing Circuit) ()(). Welly 1965 Buick Riviera Gran Sport 1:24 Dicast Model Car Gold-. Hot Wheels CUSTOM 1971 BUICK RIVIERA Cheech & Chong Real Riders 1/5 Made! Hot Wheels CUSTOM 1971 BUICK RIVIERA "Cheech & Chong's Up in Smoke" Real Riders Rubber Wheels, Collectible Die Cast Model Car Code-3 1:64 Scale Limited Edition 1 of 5 Made! Car disassembled, customized, resealed on custom card! 2 lbs - 2 lbs. To ensure the sets remain in pristine condition, each set is protected by an acrylic collector case. Includes a custom Hot Wheels acrylic display case. Retired / Out of production. Limited Edition: Yes. Version A. 1 of only 4400 Worldwide! This model will make a perfect addition to your collection! Here is your chance to pick it up. Perfect for that car fanatic in your family. Muscle Wagons: 1974 BUICK ESTATE Station Wagon. Up for sale is a2018 Johnny Lightning CLASSIC GOLD 3A Turquoise 1967 Buick GS 400 NEW. This car is mint on near mint card. JOHNNY LIGHTNING. 1967 BUICK GS 400. 2018 CLASSIC GOLD - RELEASE 3 VERSION B. LIMITED EDITION. Perfect for your display case or diorama setup! Never played with or displayed, even with that may have factory paint flaws. This model will make a perfect addition to your collection! Here is your chance to pick it up. Therefore owning it is like owning the real car. The only difference between this replica and the real car is. "It won't run!". Check out the pictures and you will be surprised by the superb details of this car!